The island of Pag is located between the Velebit Channel and Kvarneric, between the island of Rab, Olib and Vir, near the mainland. With an area of 286.6 km2 is one of the biggest Adriatic islands, with 270 km of coastline is the island with longest coastline on the Adriatic, rich with coves, bays, capes and beaches. The biggest bay, bay of Pag is rounded by 20 km of beaches. Pag bay is divided into Novaljsko-caska and Paško-dinjiška valley, and west are Kolansko-vlasic and Povljanska valley. The highest island peak is Mt. Vid of high 348 m, followed by the top Krsin with 263 m and 199 m peak KomorovacUniqueness and attractiveness of the island are numerous sources of drinking water, and numerous springs in sea. The water generally comes to the island below the seabed from Velebit hillside. On the island there are three freshwater wetland lakes Big and Small Kolansko mud and dirt. Although the climate on the island include the Mediterranean, close to Velebit makes her so much influence on the vegetation of the island by the eastern part of the island due to strong winds and heavy salt completely naked. 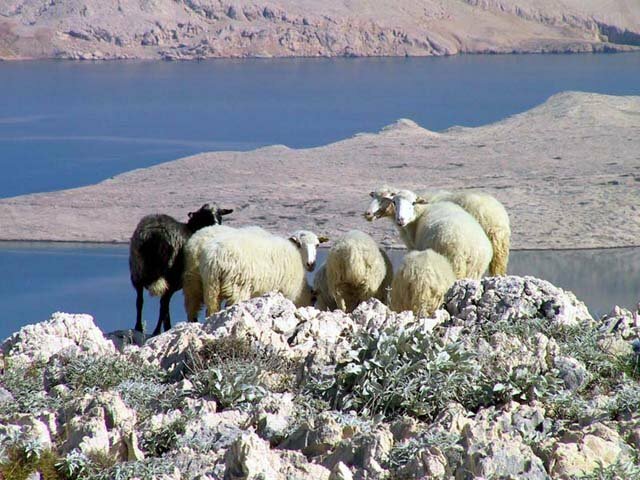 Pag Island as the largest kingdom of rocky ground on the Adriatic, where thin grass, low aromatic herb c over, sage and immortelle. These aromatic plants is essential in the diet of sheep on the island’s rocky, and giving a special taste of the famous cheese. Also on the island retain native bush evergreen nature, oak, holm oak, Aleppo pine …. The land below the shallow bay of Pag hides yet another natural wealth, tested and proven medicinal mud. Residents of the island engaged in viticulture, olive growing, fruit growing, fishery, animal husbandry and agriculture, which is significant in spite of in rocky surface of the island for centuries had a major impact on the lives of islanders and all thanks to the fertile land of sandy soil. 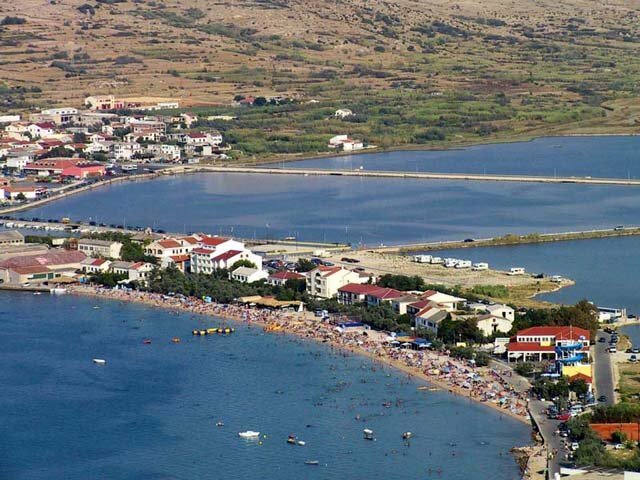 The nearby village Šimuni, with camp and marina in the bay Šimuni fishing village with a good perspective in tourism. Camp Šimuni largest and best-equipped camp on the island, entire length of the beach. Šimuni Marina with 50 berths located in the northern part of Šimuni in a sheltered cove. Kosljun, Smokvica, Pleiades, Dinjiska and Miškovići are very pleasant and peaceful island places of the future because of their geographic location by the sea and the kindness of nature directed toward tourism.